Supermarket giant Asda's plan to build a store on a site in Thurso's green belt has been rejected by councillors. Highland Council officials had recommended that the area's planning committee approve outline consent. 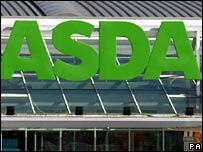 Asda's application was refused on the casting vote of the committee chairman and a company spokesman said the chain was considering an appeal. Local councillors sided with 71 objectors who had called for the town's green belt to be protected. A greenfield site on the north west fringe of Thurso was earmarked for a 2,896 sq metre store and petrol station. Planning officials had recommended that the committee give the plan outline planning consent. However, on Monday, committee members rejected the application on the casting vote of chairman Graeme Smith. Asda spokesman George Backovic said he was disappointed with the decision and said the main losers would be local shoppers and motorists. Rob Gibson, SNP MSP for Highlands and Islands, praised the committee. He said: "Supermarket expansion has to meet very strict criteria to protect the local economy." Asda also has plans to build a store in Inverness.